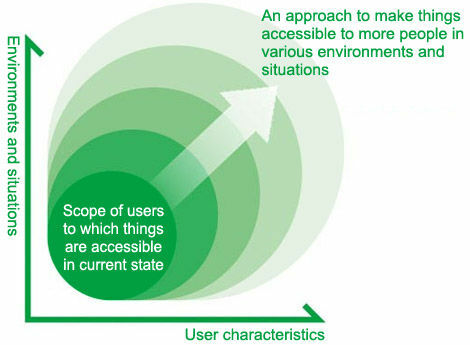 We know that a lot of lip service is paid to the idea of accessibility. That’s building online and offline products which can be used easily, not just by the fully able but also by those people with people with disabilities. It’s often assumed that building accessible products is prohibitively expensive but that's often not the case and the truth is that a more accessible product often provides a better user experience for both fully abled as well as the disabled. That means that potentially half of the audience may have an accessibility challenge that they need you to overcome for them. That’s half. 1 in 2 of your customers. Can you afford to turn them away? We don’t think so. I live in Cambodia. Trust me when I tell you that our internet is not a 50 Mbps connection that runs completely uninterrupted forever. People like me try and remove pictorial content unless we really need it so that we can get content today rather than next year. Flash can ruin everything for everyone. Not only does it require endless updates but it causes browsers to crash on a monotonous basis. We like what Flash can do, but rather like Steve Jobs most of us don’t like how it does it. If half your audience can’t convince you that you need to design for accessibility; nothing will. The one thing is certain – if you don’t cater for those people, someone else will. And when they do; you’re going to lose not just their business but the business of that other 50% of your audience too – because their friends, family, colleagues, etc. will be making a switch and we all like to do the same things in the same the way if we can.